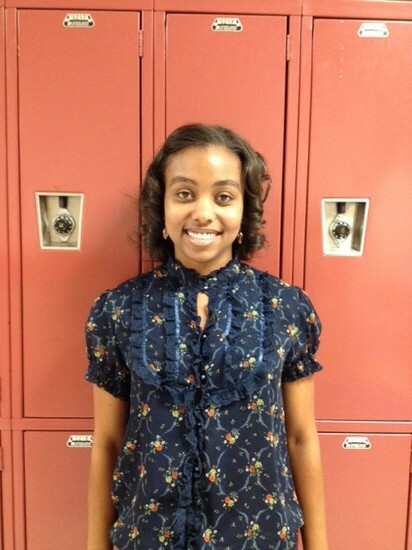 Congratulations to Erin Washington, a semifinalist in the National Achievement Scholarship Program! The National Merit Scholarship Program is an academic competition for recognition and scholarships. High school students enter the National Merit Program by taking the Preliminary SAT/National Merit Scholarship Qualifying Test. Of the 1.5 million entrants, only 50,000 with the highest PSAT/NMSQT Selection Index scores (critical reading + mathematics + writing skills scores) qualify for recognition in the National Merit Scholarship Program. We are so proud to have Erin representing Hazel Green! 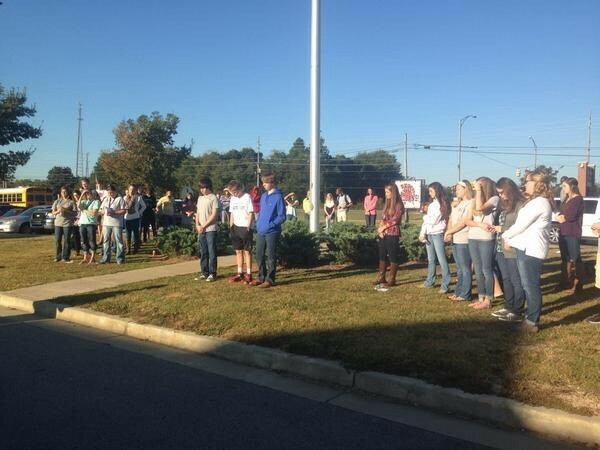 We had a great turn out for the "See You at the Pole" prayer event this morning! Thanks to our sponsors, the Fellowship of Christian Athletes and First Priority! 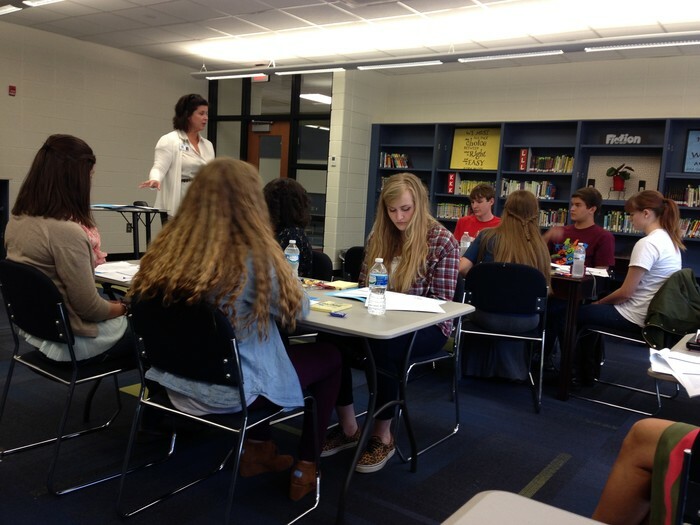 Moores Mill Intermediate School principal Cindy Davis conducted an orientation for HGHS academic tutors this morning. National Honor Society students will be working with the MMIS students on reading and math each week. It's good to be part of the Trojan Family! 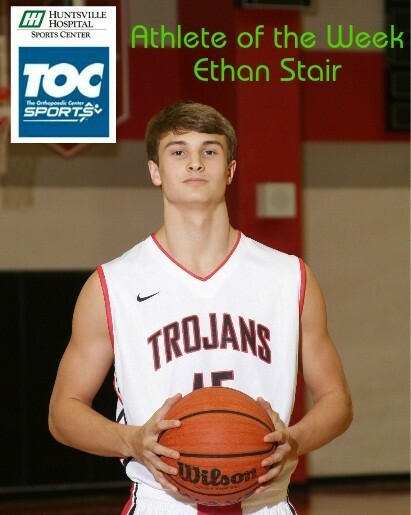 Congratulations to Ethan Stair for being selected as the Huntsville Hospital Athlete of the Week! Ethan maintains a 4.08 GPA, and is on the Basketball and Swim Teams. All weekly winners are invited to a banquet held in their honor in May, and two students are selected as Athletes of the Year. The two Athletes of the Year each receive a $1,000 scholarship! 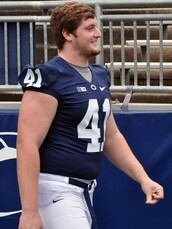 Parker Cothren Getting Attention at Penn State! 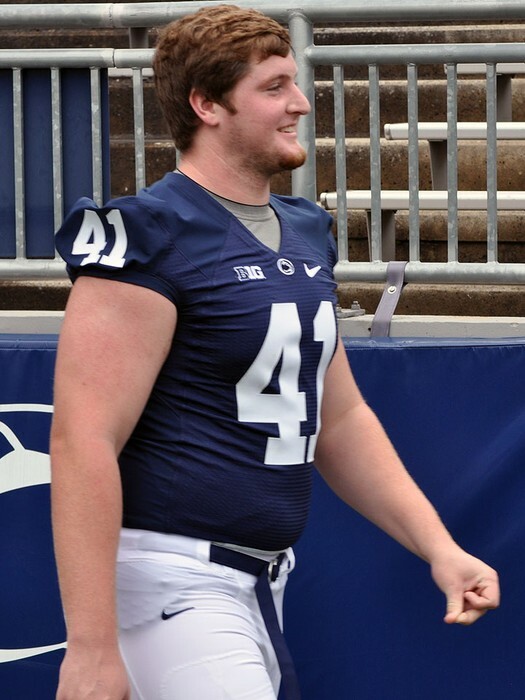 Hazel Green's own Parker Cothren has been seeing playing time at Penn State this year! Parker is a redshirt freshman tackle, and Coach Franklin had good things to say about him: "Parker is doing some really nice things. Parker is a very good athlete. 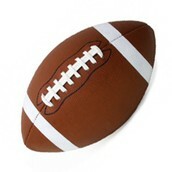 Very good athlete," Franklin said. Trojan Ambassadors, your picture for the Yearbook will be made Thursday September 25th at 8:00am. Wear official dress and meet in the Main Office. More than seventy-nine percent of JSU students receive some form of financial aid. More than $90 million was awarded last year in scholarships, loans, grants, or campus employment. Our Student Financial Services staff is always ready to serve you and answer all of your questions. Students must be accepted to JSU before they can be awarded financial aid scholarships. Visit http://www.jsu.edu/admissions/ for more information. General Scholarships begin with 22 ACT. ACT 26 will qualify for full tuition and books. ACT 30 will qualify for full tuition, room and board. Most JSU scholarships are online applications. To qualify for the In-State Scholarships, students must meet the following criteria: Alabama resident or a resident of one of the following Georgia counties: Bartow, Carroll, Chattooga, Coweta, Douglas, Floyd, Haralson, Heard, Paulding, Polk (Documentation may be required), 2015 Alabama high school graduate or 2015 Georgia high school graduate from one of the previously listed counties, entering freshman, unconditionally accepted and U.S. citizen. Official test scores must be on file at JSU prior to the March 1 scholarship deadline. Stock up on your Trojan gear at Trojan Armor on Game Days from 11-1 in the cafeteria, and at all home games! 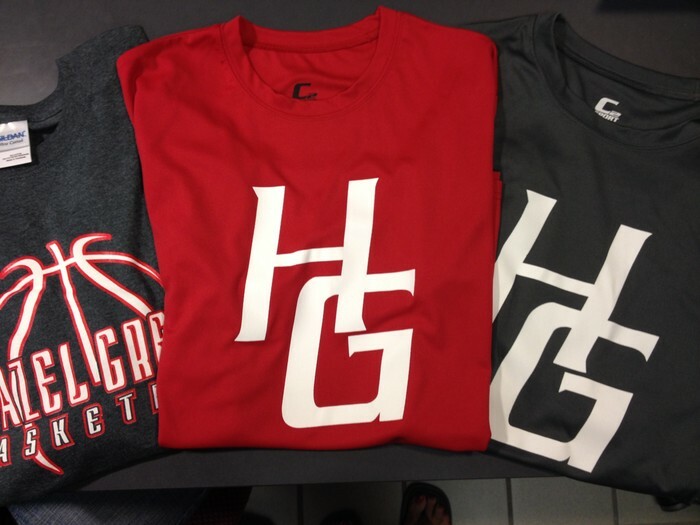 HG Shirts for Sale: HG dri-fit short sleeve-t-shirts charcoal grey or red $10, Hazel Green basketball long sleeve t-shirts $15. See Mrs. Helton in Attendance. Band Fundraiser - Butter Braids are an awesome pastry! They will arrive frozen - all you have to do is allow the pastry to thaw and rise overnight, bake for 25 mins, and enjoy! The pastry can remain frozen in your freezer 6 months+ without loss of quality. Butter Braids are available in cinnamon, apple, cream cheese, strawberry and cream cheese, blueberry and cream cheese and double chocolate. They sell for $13.00 each ($14.00 for Double chocolate). Sale ends October 3. Email drlev11@att.net with questions. National Technical Honor Society - There will a meeting on Wednesday, September 24th, before school in Mrs. Romine’s room (C200) for students who are interested in joining the National Technical Honor Society. Students must be a Junior or Senior with a 3.5 GPA, a current member of a Career Technical Student Organization (DECA, FBLA, FCCLA, FFA, HOSA, JROTC, TSA) and have 2 credits in career tech or 1 credit and enrolled in a 2nd career tech class. 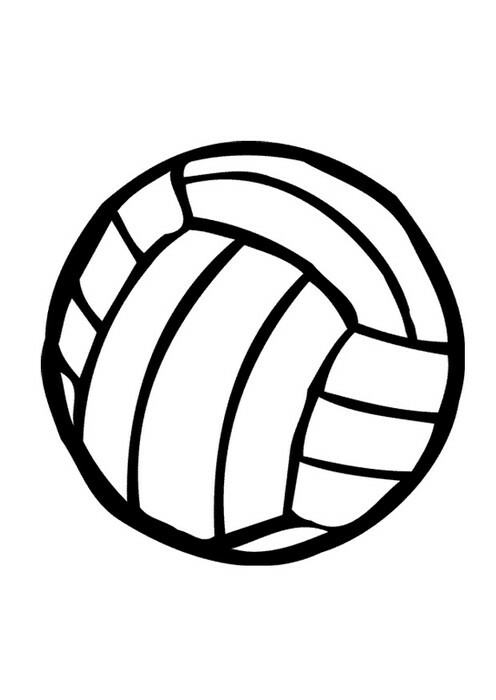 For more information, see Mrs. Romine or Coach Ebert. Impact Cards have been sent home. Every student must turn one in, even if their parents do not work on federal property. It's very important that these are signed and returned by September 25th. Moores Mill Intermediate is hosting a 5K fundraiser on Saturday, November 8 to build a playground for our students. 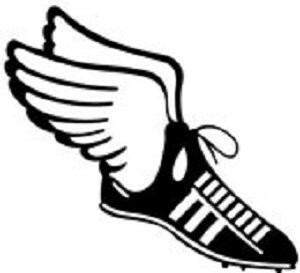 We need business sponsors, volunteers, and runners! If you can help in any way, please contact Jennifer Sticker at jsticker@madison.k12.al.us or Moores Mill Intermediate for more information. September 26 is a half-day of school for students. We will serve breakfast and lunch on this day as normal. Car riders and drivers will be dismissed at 11:30 a.m. Bus riders will be dismissed at 12:00 noon. The half-days are scheduled for this school year are September 26th, October 31st, February 13th, and April 17th. On these days, only students will be dismissed early and employees will participate in professional development for the remainder of the day. Parent/Student Surveys - In an effort to improve system practices, Hazel Green High School is conducting a Student and Parent Survey. We value your opinion and ask that you take the time to complete this. Please be assured that your responses to this survey will be anonymous. Your honest opinion is appreciated. Thank you for your time and attention to this matter. We ask that you complete the survey by October 3, 2014. 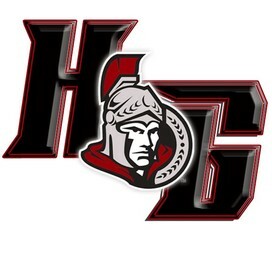 Hazel Green is blessed with a supportive community, so we look forward to a big response from our Trojan Nation! 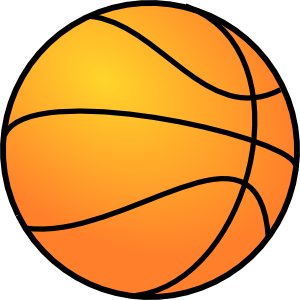 HGHS is hosting a Basketball Camp for boys and girls on October 4th from 8-12. Camp registration Fee is $35.00. Bring cash or check on day of camp. Camp instruction by nationally renowned Coach Tim Miller! Contact any Lady Trojan basketball player for registration form. Picture Retakes for underclassmen will be on October 14th. Retakes will only be available to students who were absent or bring a note from a parent requesting the retake. Morning tech students will need to have photos taken BEFORE they leave for tech at 8:30. Photographers will be ready to go at 8:00. Running for Rowan is a mile fun run around the campuses of Hazel Green High School and Hazel Green Elementary School to benifit Rowan Scott. Rowan is a kindergarten student at Riverton Elementary that has spastic diaplegic cerebral palsy. She is having surgery in April to hopefully allow her to walk independently one day. All the proceeds from this event will go toward her medical expenses. There will also be a carnival area with $5 armbands. So come out and Run for Rowan on September 27th! Inspire & Achieve Cyber Night at UAHuntsville’s Exhibit Hall on October 1st at 6:00pm. 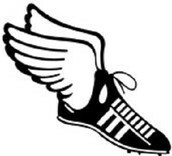 Huntsville Hospital Athlete of the Week - Applicants must be a high school senior, have a minimum GPA of 3.5 and display a history of athletic and academic accomplishments, as well as community/civic involvement. All weekly winners are invited to a banquet held in their honor in May, and two students are selected as Athletes of the Year. The two Athletes of the Year each receive a $1,000 scholarship. Complete the nomination form online or call (256) 265-5000 for more information. HGHS had several representatives last year so apply today! Wendy’s High School Heisman - Seniors who excel in academics, athletics, and community involvement apply by October 3 at www.wendyshighschoolheisman.com. List Mrs. Hutchison (ahutchison@madison.k12.al.us) as the school contact. 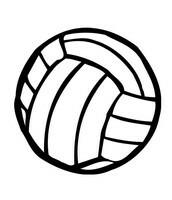 To be eligible, a student must have maintained at least a ‘B’ grade point average, participated in one of the 27 sports officially sanctioned by the National Federation of State High School Associations, and demonstrated active involvement in his or her community. Hazel Green High School has lots of opportunities to get involved! Visit our school website for a compete listing of our extracurricular activities, and find a place for your child today! 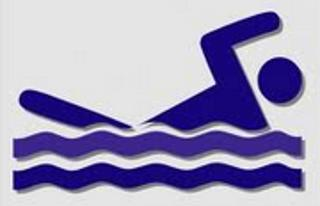 Positive and Productive Days - Visit http://hghsblog.blogspot.com/ to read Mr. Long's blog. Look for posts each week! Trojan Daily Tips - All the newest information will be at the top, followed by our Athletic Schedules and Current Announcements. Information from previous newsletters remains posted in Current Announcements until it expires. 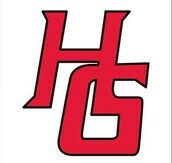 I welcome parents to send scores, pictures and updates from any Hazel Green sports or activities. We can't brag about it if we don't know about it. Scholarship and college visit information will only be posted once, and then it can be found on separate webpages for General Scholarships, College and University Scholarships, and School Visits and Special Programs. Revision to Pre-Approved Absence Policy- Students requesting pre-approved, excused absences will need to turn the form in to Mrs. Sharp at least 20 days before the planned absence. Forms can be found on the school website. Juniors Have Free Access to ACT Online Prep - All juniors received a personal user name and password to the ACT Online Prep website. This is a great resource to be used in preparing for the ACT Plus Writing assessment which will be given to all of our juniors during school. All students are strongly encouraged to utilize this service provided to us. For more information, visit http://www.actstudent.org/onlineprep/. 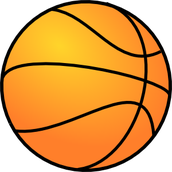 Online Payments You may now pay fees and purchase tickets to sporting events online. Go to www.myschoolfees.com .